Ringtone Maker is free app creates ringtone, alarms, and notifications from MP3, WAV,AAC/MP4, 3GPP/AMR files you load onto your phone through the SD card or that you purchase through the Amazon MP3 store. Unlike many Android apps that use the Menu keys to store some software functions, most of Ringtone Maker's controls are out on the interface and all respond to touch. You can set the start and ending notes by sliding arrows along the timeline, by pressing Start and End to record the point, or by typing in time stamps. 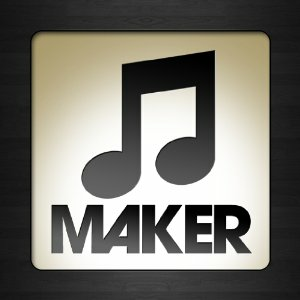 Ringtone Maker is the best ringtone creator on Market, an enhancement of Ringdroid, with addition of features like fading in/out for MP3, adjusting volume, and share by e-mail. You can even also copy, cut and paste with the latest version.